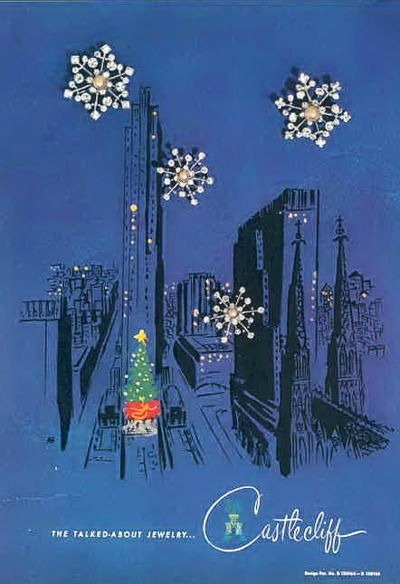 It is not too late to tell Santa you want vintage for Christmas. 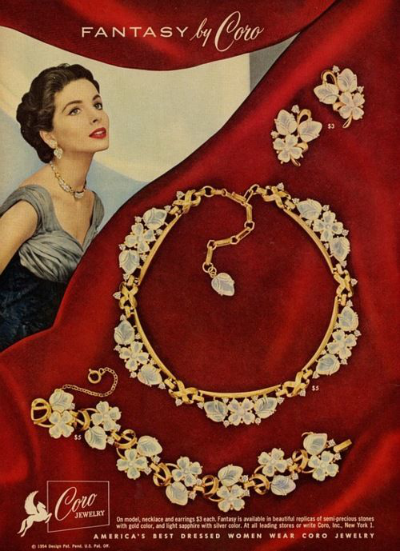 Let's choose one of these vintage jewelry pieces to wear with our fifties' Christmas ensembles. Castlecliff is a heritage costume jewelry brand established in 1918 by Clifford Furst and Joseph Bobley. They debuted their first collection in 1945 and continued to manufacture their jewelry in New York City until 1977. In tribute to their Eastern European heritage, the Eisenbergs used Swarovski rhinestones in their jewelry pieces. These clear and colored stone creations are highly collectible. Eisenberg & Sons opened their Chicago designer fashion emporium in 1880 targeting American women for their daywear products. In the early 20th century, the designers began adorning their garments with rhinestones. When the company found their rhinestones were being stolen, they established a costume jewelry line to accompany their apparel department. Arriving in America in 1904, Irish immigrant Gustav Trifari established Trifari and Trifari in 1910 with his uncle. 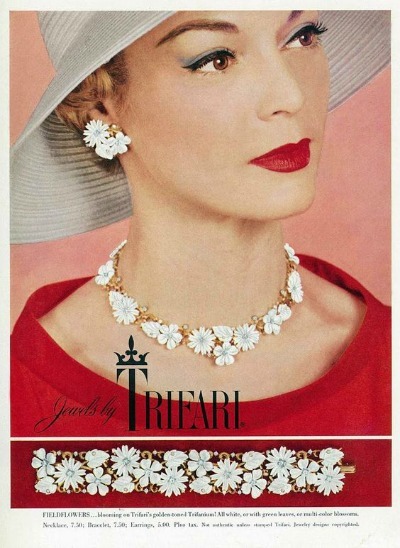 It was not until 1930 when Trifari hired designer Alfred Phillipe that the company emerged as a dominant force in the jewelry industry. 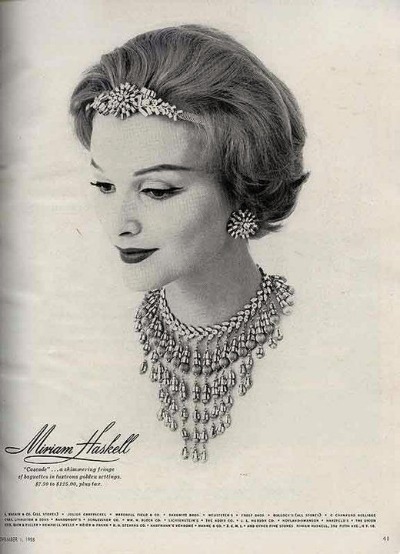 Miriam Haskell began her costume jewelry business in 1924 when she moved to New York City with only $500 in her handbag. She and her partner Frank Hess created exquisite pieces at affordable prices. Wealthy socialites and film stars clamored for her signed originals. 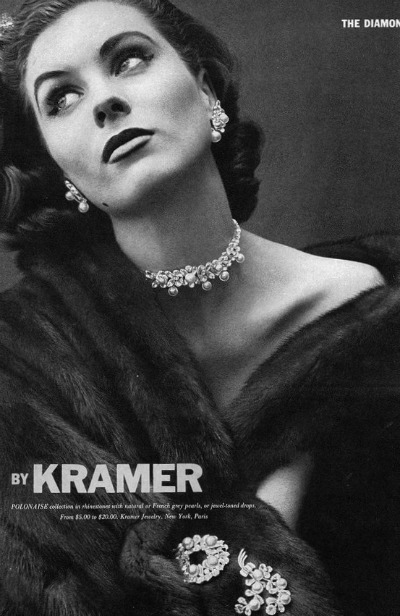 Kramer Jewelry was founded in 1943 by jeweler Louis Kramer. Using sparkling Austrian crystals and high end rhinestones, Kramer Jewelry produced some of the world's leading costume jewelry. 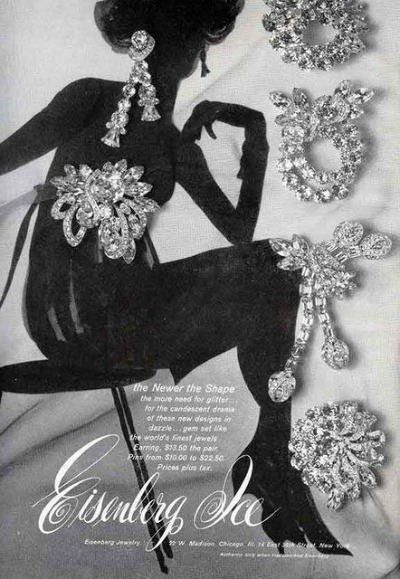 During the 1950's Kramer designed jewelry for Christian Dior under the name Christian Dior by Kramer. Naming their company Coro Jewelry, a contraction of their two names, Emanuel Cohn and Carl Rosenberger incorporated in 1913. The company began producing a line of jewelry named Coro Craft in the 1930's and started its crystal Vendôme line in 1944. One of my favorite memories is looking through my grandmothers jewelry boxes. I was sure they were all genuine rubies and diamonds. Sadly, they were not. Do you have any high end vintage jewelry? We would love to see pictures of it.